﻿ What's the best height to set your lawnmower blades at? What’s the best height to set your lawnmower blades at? “When it comes to mowing the lawn, less often and at a higher setting makes for a healthier lawn, said Saidnaway. How would you find the perfect lawnmower setting? A credit card, of course. ‘Everyone’s got one. It’s just over three inches in height. Check your mower blades, if it slides up your mower blades, that means you’re at the right height,’ said Petitti. Among the other tips in the article regarding maintaining your lawn, it was suggested that you should water it every 2-3 days. However, taking care not to over-water it. Pretty soon, it will be time to swap out lawnmowers for snowblowers. So enjoy that green grass while you can! 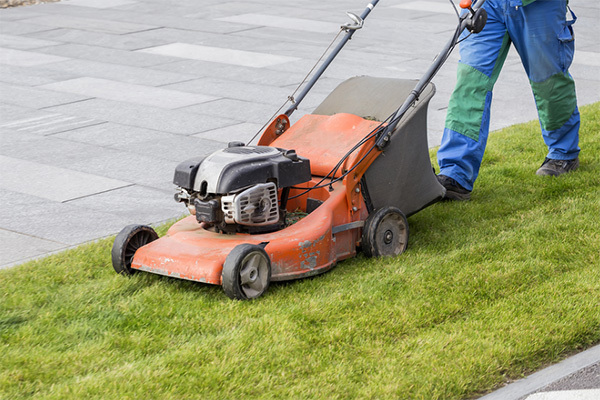 If your lawnmower needs maintenance of its own, call Robbinsdale Marine at 763-533-0300. Visit our lawnmower repair page for more information. Duis tempor vehicula tincidunt. Mauris sagittis risus ac lacus pulvinar iaculis. Duis sapien mauris, ullamcorper in faucibus lacinia, tristique sed nisi. Donec varius tempus lacinia. Vestibulum ante ipsum primis in faucibus orci luctus et ultrices posuere cubilia Curae; Curabitur consectetur venenatis urna interdum eleifend. Cras vitae massa lectus, at accumsan lectus. Proin non turpis.